The Young Authors' Conference came up with this nifty trailer to promote the event! For more information on the conference, check out this post. Michigan State's writing department - the Department of Writing, Rhetoric, & American Cultures - wants to work with you to nourish the writing skills of each Michigan student. We've organized two summer writing conferences (http://youngauthor.wide.msu.edu), led by established authors and MSU faculty, for middle school and high school students. These conferences are academic enrichment activities designed to help students achieve the learning objectives established by the Common Core State Standards Initiative (http://www.corestandards.org/). These conferences are also fun opportunities for students to participate in Michigan's artistic community while meeting peers that share their interest in writing. The Young Authors' Conference staff requests your help in encouraging students to participate. If you know students who may be interested in attending either conference, please share this information - and the attached flyer - with them. If you are a Michigan educator, please encourage your students to attend. Applications are due by June 1 for the June 29 conference, and by July 1 for the July 27 conference. If you or your school would like additional information regarding these conferences, please contact Kate Fedewa, the conference director, at fedewak3@msu.edu. Our conference staff would be happy to provide flyers for interested groups or to speak personally with parents, teachers, or schools about the conferences. As a boy, William Bellman commits one small, cruel act: killing a bird with his slingshot. Little does he know the unforeseen and terrible consequences of the deed, which is soon forgotten amidst the riot of boyhood games. By the time he is grown, with a wife and children of his own, William seems to be a man blessed by fortune—until tragedy strikes and the stranger in black comes. Then he starts to wonder if all his happiness is about to be eclipsed. Desperate to save the one precious thing he has left, William enters into a rather strange bargain, with an even stranger partner, to found a decidedly macabre business. Oh my gosh, am I excited about this book. 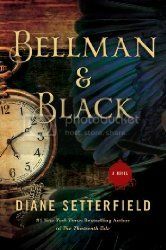 Diane Setterfield's debut novel, The Thirteenth Tale, remains one of my all time favorite books, and I've been looking forward to a follow up from her for years now. Well, just this morning I discovered that that follow up is finally being released this year and I knew what my Waiting on Wednesday selection was going to be! I'll be definitely picking this up in November. Bellman and Black will be released on November 5, 2013, from Atria Books. 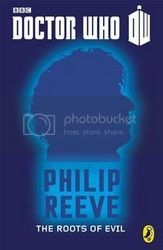 Philip Reeve takes on The Fourth Doctor in this latest Eshort celebrating the 50th Anniversary of Doctor Who. The Doctor takes Leela, who has been missing trees and nature, to the Heligan Structure, a genetically engineered tree that humans used to terraform uninhabited planets for their use. The Heligan Structures are basically the size of a small moon, so this is a fairly large tree. The problem here of course, is that what they are upset with Four about hasn't happened for him, as he discovers a carving of Eleven in the Heligan Structure. So Eleven was around in their past, but this hasn't happened to Four yet, who is now visiting in their future and his present. Time travel is so tricksy. The bit I didn't really like about this is that I feel that we only got half a story. It's explained, but quickly, what happened with Eleven in the past, but I still only feel like I got half a story out of the whole thing, that Four worked it out much to quickly and hence I don't really feel there was much substance to this particular Eshort. Reeve handled his portrayal of Four fine enough, but as an overall story, I think this one has been the most disappointing of the lot so far for me. The Fourth Doctor was portrayed by Tom Baker from 1974-81, the longest tenure of an actor as the Doctor yet. Baker's Doctor may be one of the most recognizable of the Doctors, especially in the Classic Who set, what with his long scarf and fondness for jelly babies. After Three's exile on Earth, Four took well advantage of his ability to travel in space and time and had some really grand adventures. 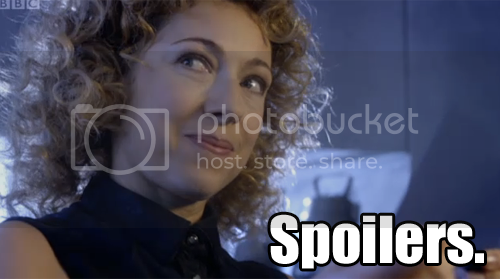 Four was my first experience with Doctor Who when I was a kid, so he has always had a special place in my heart. I love this book! I really do. It's one of those books I'll pull off the shelf every couple of years to read, and giggle all the way through each and every time, because it's just that funny. 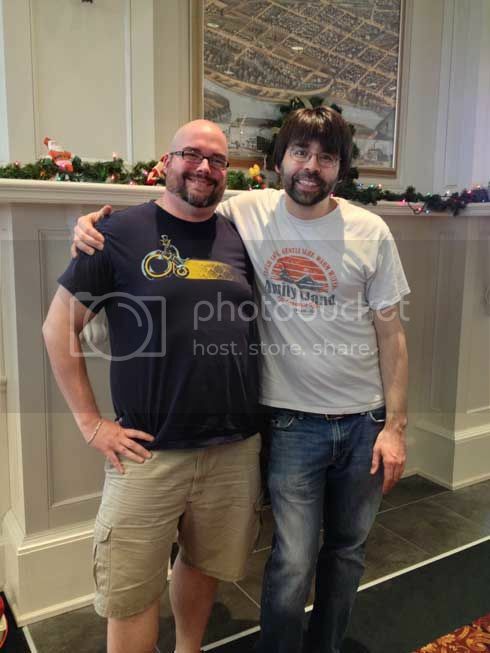 Realistically, you'd think a story about the Apocalypse really wouldn't be that funny, but the such capable hands as those of Neil Gaiman and Terry Pratchett, it's laugh out loud hysterical. Aziraphale (the angel protecting the Garden of Eden) and Crowley (once known as Crawley, the infamous snake of Eden) have been living comfortably in modern times, having become fast friends after the whole Adam and Eve thing. When it comes time for the Apocalypse to take place, they decide to maybe try to put it off a couple more years, since they rather like living in the human world. Unfortunately, there was a mix up with the Antichrist when he was born (Warlock, who is thought to be the Antichrist, is a wildly normal young boy, while the real Antichrist, Adam Young, is living in the English countryside with his wildly normal family, not having any idea as to his true nature), and now there is a race on to find the real Antichrist before everything basically goes to hell. The Four Horsemen are trying to find the Antichrist (Pollution has replaced Pestilence since penicillin was discovered), Aziraphale and Crowley are looking for him, and meanwhile all the incredibly accurate prophecies of Agnes Nutter are coming true. And what do the Tibetans and aliens have to do with anything? I think part of what makes the story so funny is that it doesn't try to take itself seriously at all. 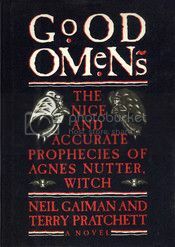 Gaiman and Pratchett never try to take the story farther that what it is, a comedy, and don't try to make anything really philosophical about it, so regardless of your actual beliefs or feelings about the Apocalypse, this story would be accessible to you and still funny. It is full of Gaiman and Pratchett's trademark wit and cleverness, even though it was written respectively early on in their careers, so it's not always a polished as it could be, which is also part of its charm. If you're looking for something that you don't really need to think too much about and is funny and clever, I really can't recommend Good Omens enough. Read it. You won't be disappointed. I adore Ms. Carriger's books. Her Parasol Protecorate books are clever and laugh-out-loud funny, and she has brought that same flair to her Finishing School books as well. 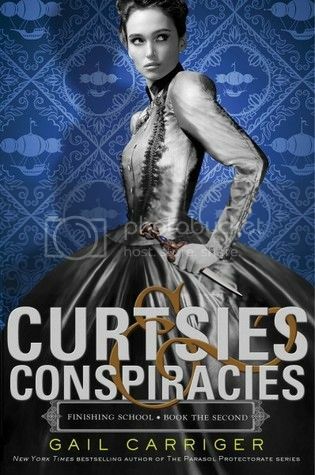 Curtsies & Conspiracies will be released on November 5, 2013, from Little, Brown Books for Young Readers.